Designed around the needs of the individual customer, Volvo Car UK's new car servicing program, Volvo Service Promise, provides a combination of quality, value-for-money and reassurance by giving retail customers a unique range of benefits. Available on any age of vehicle, all full services carried out at a Volvo Authorised Repairer will qualify for the service promises, elevating the existing comprehensive service already offered by its dealers. 1. Mobility Solution - The customer will be offered onward transport to minimise disruption to their day. This could not only be the normal courtesy car offering, but a taxi voucher, a train ticket, a lift or even the use of a courtesy bike. 2. Roadside Assistance - The customer will receive a complimentary one year / unlimited mileage Volvo Assistance package. This package mirrors the normal roadside assistance programme, alone worth from £99 if purchased separately. 3. Personal Service Contact - During the booking in, update and handover stage, the customer will, whenever possible, liaise with the same member of staff, giving a personal level of service designed around their needs. 5. 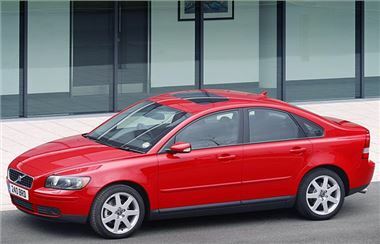 Software Upgrade (applicable to certain models) - The vehicle will receive a software update to ensure it is running at optimum performance with the latest upgrades from Volvo. 6. Car Clean - The exterior of the vehicle will be washed and the inside vacuumed. Along with these above promises, vehicles will benefit from the usual high service offered by all its Authorised Repairers by using genuine parts and Volvo trained technicians using Volvo repair methods.